Hiro (Kyoto, Japan) on 3 July 2016 in Miscellaneous. Il a plu chez toi ! An amazing quantity of rain! with beautiful composition, shapes & textures! It did not rain here this weekend...a first for many days. This is a great rainy day photo. Great texture, splendid B&W !!! cool !! Love to see those pebbles drenched in rain ! 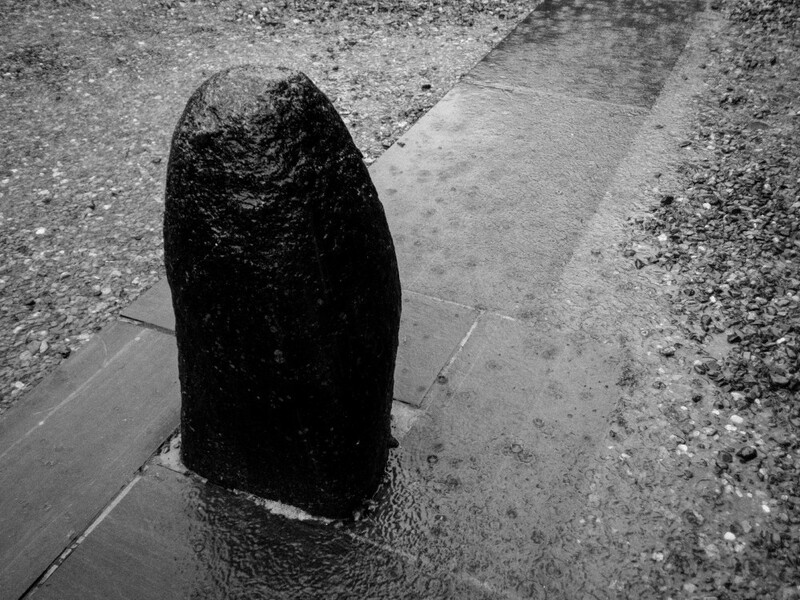 A fine stone marker that looks great when wet. Super tonality in this B&W. Quelle pierre noire et vue quel rendu superbe. It has been raining a lot! A wonderful black and white image!